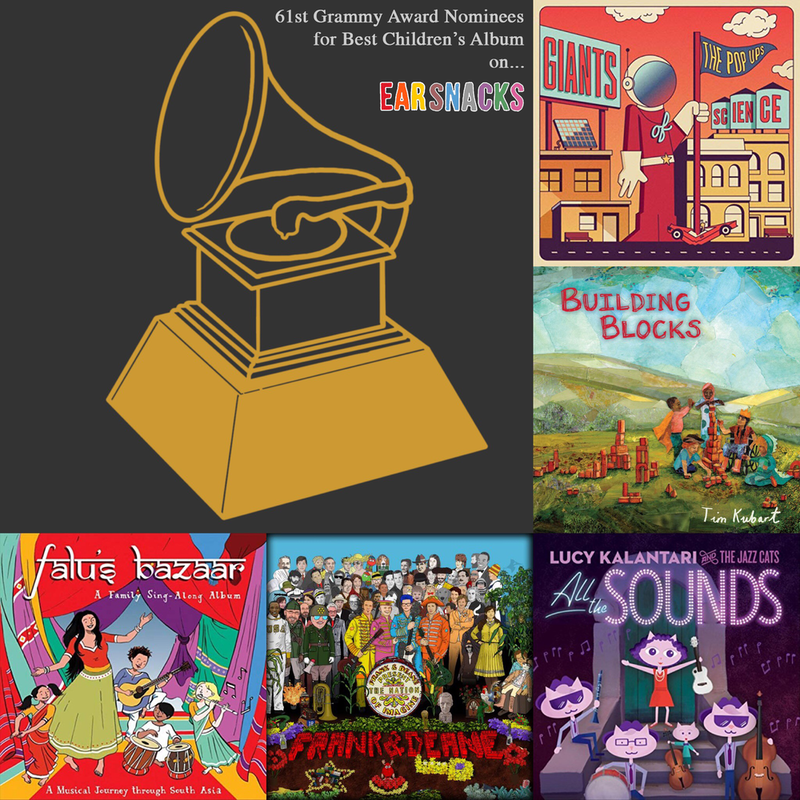 Best Kids Music from the 61st GRAMMY Awards! New Year, NEW MUSIC! Through the magic of teleportation, all five awesome Grammy-nominated kids artists pop into Ear Snacks to goof around with Andrew & Polly and share their fantastic music with you. We were honored to have all five of this year’s Grammy-nominated kids artists drop by on this episode of Ear Snacks to goof around with us and share their awesome music with you. Lilah gives us a lesson in how to play Rock, Paper, Scissors and Jazzy Ash visits Andrew & Polly in the studio to share some hand-clapping games and songs from her new record, Swing Set. E-mail pics of your funny review to earsnacks@andrewandpolly.com to win that dope hand puppet craft! Andrew & Polly try to learn about more than just guitars and feelings on the second installment of Ear Snacks: Strings. Thanks to Lucky Diaz from Lucky Diaz & The Family Jam Band (luckydiazmusic.com) for talking about his Gretsch electric guitar, Archer Buckbee and his mom, Katy, in Boulder for telling us about fiddling, and to our favorite upright bass player, Gabe Davis (www.gabedavisbass.com). Thanks also to our past Strings experts, Frances England, Quentin & Mista Cookie Jar.